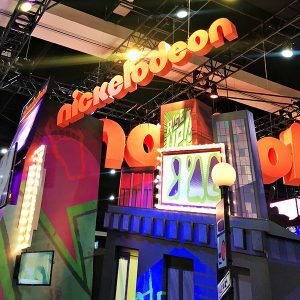 Always a favorite, Nickelodeon was back at San Diego Comic-Con 2018! 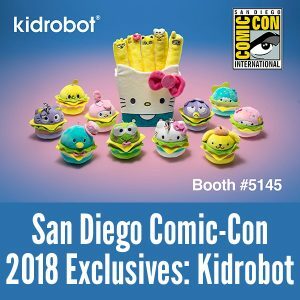 Here’s the San Diego Comic-Con 2018 Exclusives from Kidrobot – featuring Sanrio, Bob’s Burgers, and Jeremyville! 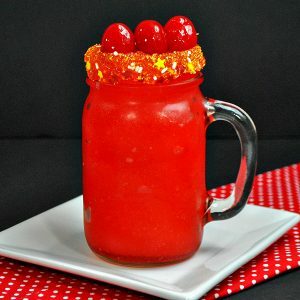 If your a Disney/Pixar’s Incredibles fan, then you’re going to love this Incredibles Fruity Slush Recipe! This frozen drink only needs 5 ingredients and is super simple to make for hot summer days, Incredibles birthday party, or movie nights! Did you know that there are professional child care services at San Diego Comic-Con? There is! While you certainly don’t have to use their services, many families find it to be a big help . 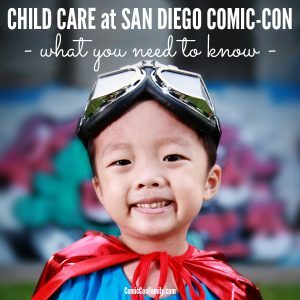 If you’ve secured a Comic-Con badge, read on to learn all about Kiddiecorp child care at San Diego Comic-Con.